Looking for a program to help you lose fat and build muscle? Check out G.Y.M. 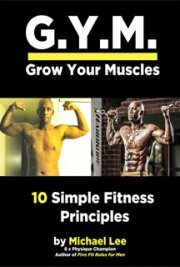 - Grow Your Muscles - 10 simple fitness principles. This free book covers the basics of nutrition, Cardio and strength training, that leas to fat loss and muscle building.